An Abuja High Court sitting at Maitama District has discharged and acquitted six persons suspected to have killed a popular businessman in the city, Tony Eze, in November 2014, after an outing at Tunga-Maji area. 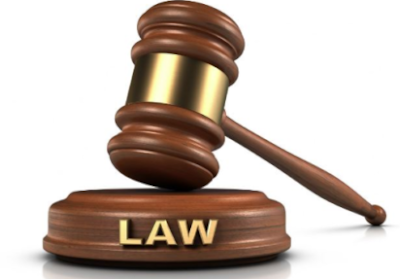 In a judgment that nearly sparked protests in Abuja, the six suspects -- Anayo Eze, 19; Idris Shaibu; Alisa Calamity; Okechukwu Nelson alias Barracks, 27; Emmanuel Igwe, 22; Samuel Okoro, 19, and Austine Nwanba, 47 -- accused of killing the businessman were freed on grounds considered by many to be flimsy and unattainable. The suspects were arraigned and charged on April 14, 2015 before Justice Salisu Garba by the prosecutor, Inspector Malik Taiwo on behalf of the Inspector General of Police for committing culpable homicide, killing of late Mr. Anthony Eze along Zuba-Tunga Maje Expressway, FCT, Abuja. It was a case of the prosecution accusing a friend of the deceased of hiring other defendants to rob and kill the late Anthony Eze. Delivering his judgment, the trial judge, Justice Salisu Garba freed the six suspects on the grounds that machine gun used in committing the robbery and murder were not tendered in evidence; that plea of alibi by some defendants were not investigated; that the owner of the shop where the deceased was killed did not identify other five defendants except Augustine Wamba and that the defendant who was in possession of Nokia E5 belonging to the deceased explained how he got the phone.